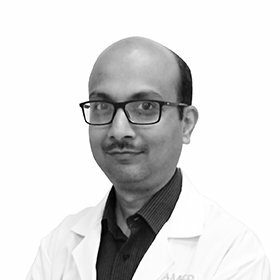 Dr. Sharadchandra Prasad is Amber Clinic’s Specialist Urologist. He did his MBBS from the prestigious Grant Medical College and Sir JJ Group of Hospitals, Mumbai, India. Dr. Sharad completed his MS General Surgery from T N Medical College and Nair Hospital, Mumbai. Thereafter, he completed his DNB Urology from the National Board of Examinations, New Delhi. He continued working with Grant Medical College, Mumbai and subsequently as an Associate Professor in NDMVPS Medical College, Nashik. He has performed more than 6000 surgeries till date.